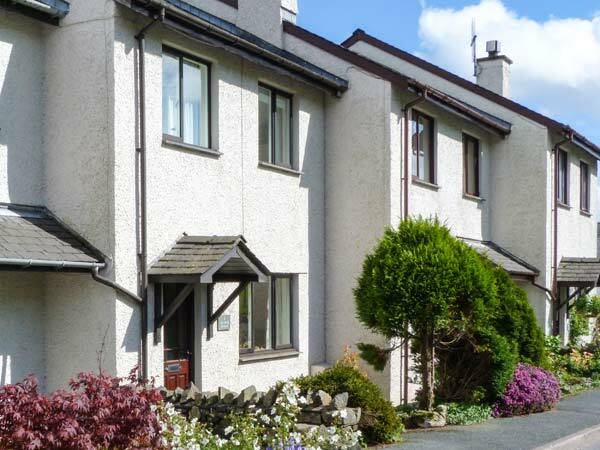 Just two minutes walk from the centre of Coniston, this modern terraced cottage offers first class accommodation in this popular Lakeland village. 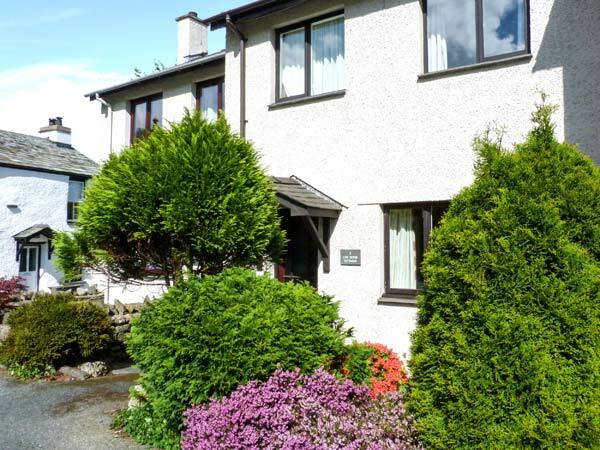 Nestled below the magnificent 'Old Man of Coniston', the property is a bright and sunny one ideal for a family or a few couples looking to explore Cumbria. There is also parking for three cars, making this a good property for couples with 'grown-up' children who want a family holiday. Three bedrooms: 1 x king-size double, 1 x twin with TV, 1 x bunks. Bathroom with bath with shower over, basin and WC. Ground floor basin and WC. Fitted kitchen with dining area. Sitting room with open fire. Hall. Electric storage heaters with open fire in sitting room. Electric cooker, microwave, fridge/freezer, washing machine, dishwasher, 2 x TVs with Freeview, DVD, radio, CD player, WiFi. Power and starter pack for open fire inc. in rent. Bed linen and towels inc. in rent. Off road parking for three cars. Small open sitting area 15 metres to rear of property with garden furniture. One well-behaved pet welcome, to be kept on a lead when in outdoor sitting area. Sorry, no smoking. Shops and pub 2 mins walk. Note: The cottage is quite close to main through road and some traffic noise is audible at peak times.